Handy Hubby is making great progress on the bookcase for our daughter Elizabeth's room. Hopefully he'll have time to finish it up this weekend and we can load it up with books after Thanksgiving. It's important to give the paint at least 5 days to cure, but more if you can stand to wait. Waiting is really hard for me, but Thanksgiving should be enough of a distraction. Let's hope she loves it for a really long time! Handy Hubby made an investment purchase in the name of progress on the bookcase. 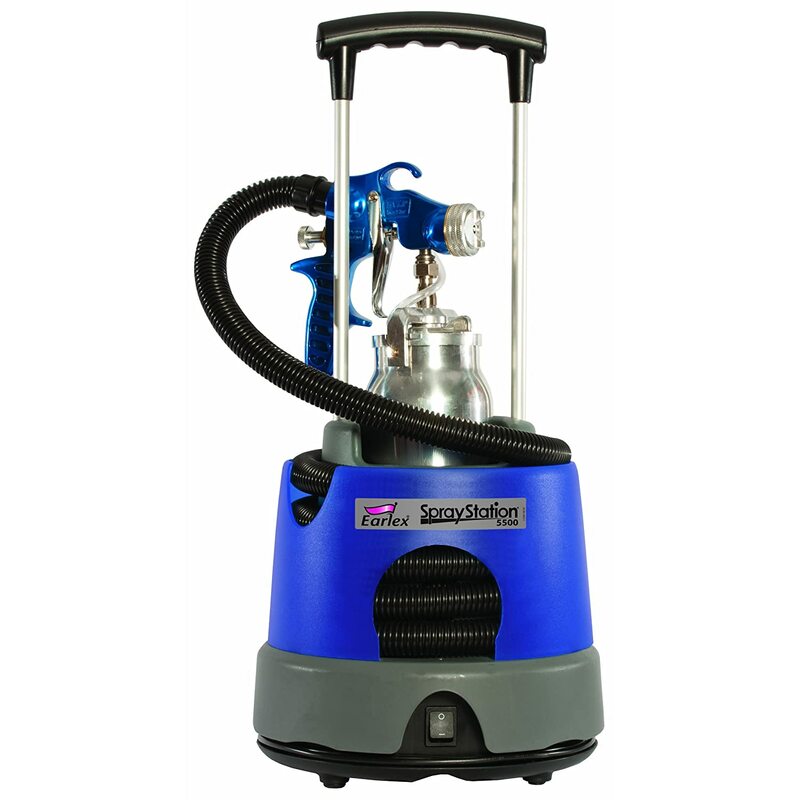 We've been talking about getting a paint sprayer for several years. We considered an inexpensive model but opted against it because they can be difficult to clean and the results are often inconsistent. We decided it was time to invest an Earlex HV5500 Spray Station. So far Handy Hubby reports that it works really well and is easy to clean. He is spraying thin coats and then sanding lightly. Hopefully the last two coats can go on soon and we can dive into the next project.